Stacey studied at the Curtin University of Technology in Perth and has worked as a Podiatrist in Victoria and Perth. She worked along-side a physiotherapy team for many years in Victoria where she developed a passion for biomechanical and sports related injuries and the positive effect Podiatry can have in patient outcomes. Stacey believes Sports Podiatry has the ability to allow people to reach goals and push through barriers otherwise limited by functional capacity. In 2010 Stacey undertook training to provide extracorporeal shockwave therapy to learn about the complexities of the machine and its benefits to patients. She is skilled in dry needling therapy and trained to provide therapeutic injection therapy. She believes in detailed assessment and a holistic approach to patient care. Stacey is a member of both the Australasian Academy of Podiatric Sports Medicine and Sports Medicine Australia. She is also a member of the Australian Podiatry Association and actively participates in continuing education and furthering her podiatric knowledge. Stacey clinical interests are in Sports podiatry and biomechanical cases. Over 13 years of professional time as a podiatrist her up-skilling has been directed to helping people achieve their performance goals; those starting fitness goals to stay injury free; and provide thorough and efficient care to her Patients. Stacey also has an active interest in Paedicatric podiatry ( children’s feet and biomechanics), and with two children of her own, she keeps busy with work and home life. 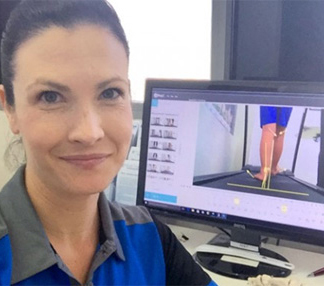 Stacey is a Member of the Australian Podiatry Association, Member of the Australasian Academy of Podiatric Sports Medicine and Member of Sports Medicine Australia.